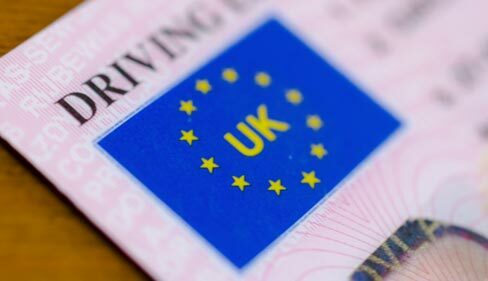 Official Brexit guidelines issued by the UK Government advise UK Nationals to exchange their UK (EU) Driving Licence before Brexit Date on 29th March 2019. Trevor Hawes, one of our very helpful Kraków Expats, recently visited the Drivers & Vehicle Registration office in Kraków to exchange his UK (EU) Drivers Licence for a Polish Licence (Prawo Jadzy). Trevor very kindly took detailed notes of the process which form the basis of this step by step guide. Whilst this guide is intended mainly to help UK Nationals preparing for Brexit, the same procedures apply to any driver wishing to exchange their EU licence for a Polish one. You can read the document below, or download and print your own pdf version. 6/4/19 – Guide Updated to add recommended photo studio – for ID photos, sample of application form in English and info re power of attorney. Where to Find more Information – Official Source. On 4th March 2019, Poland introduced a new driving licence design and amended some regulations. The Polish driving licence no longer shows the address of the holder. This change was introduced to reduce unnecessary admin for the authorities and avoid the expense and inconvenience for drivers who previously had to renew their licence within 30 days of moving home. The other main change is that drivers licences now have a maximum validity of 15 years. If you are downloading the form to print, it must be printed double sided and actual size. Incorrectly printed forms will be rejected as they will not be compatible with the automated form reading system. In some cases, usually depending on categories, there may be a request for a medical certificate. There are also some reports on social media of drivers losing categories, which appear to have disappeared from their licence when they receive the new Polish licence. Many thanks to Trevor Hawes for the detailed account of his recent experience at the Driving Licence Office in Kraków. We really appreciate when people take the time to help others in the community and contribute to Kraków Expats Directory.